If you have ordered our Plus package, AddSearch automatically detects Google Analytics (GA) on your website. 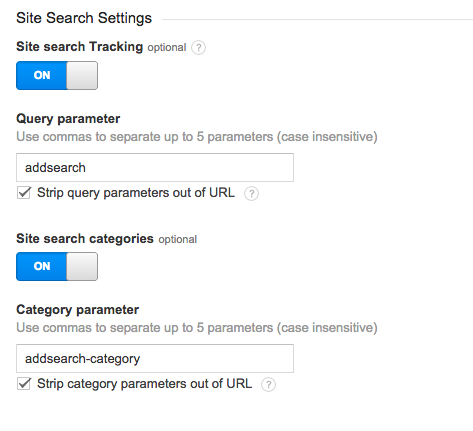 We push statistics to GA automatically, without you having to modify any settings in AddSearch. Click on Admin, located in the upper right hand corner. 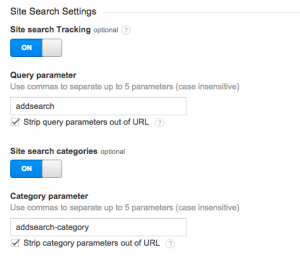 Under Site Search Settings, turn on the button marked Site search Tracking. 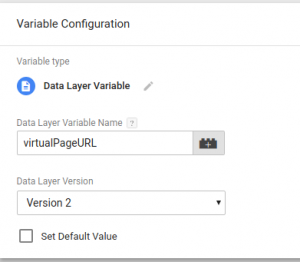 Input addsearch as the Query parameter, and check the box Strip query parameters out of URL. 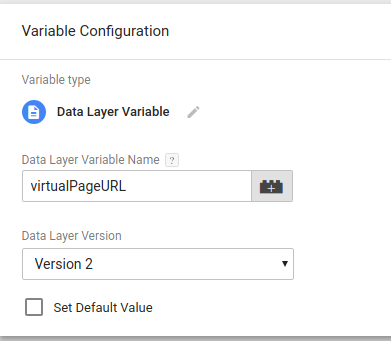 Then, input addsearch-category as the Category parameter, and check the box Strip query parameters out of URL. Click Save. AddSearch is an instant search, and users of the search typically type one or two letters before clicking on a search result. This means that the the top keywords in your GA statistics are typically very short and somewhat hard to decipher. We’re working on a solution for this. How can I exclude AddSearch from my traffic numbers? See the full documentation of the addsearch_settings variable for the search widget or for the results page. 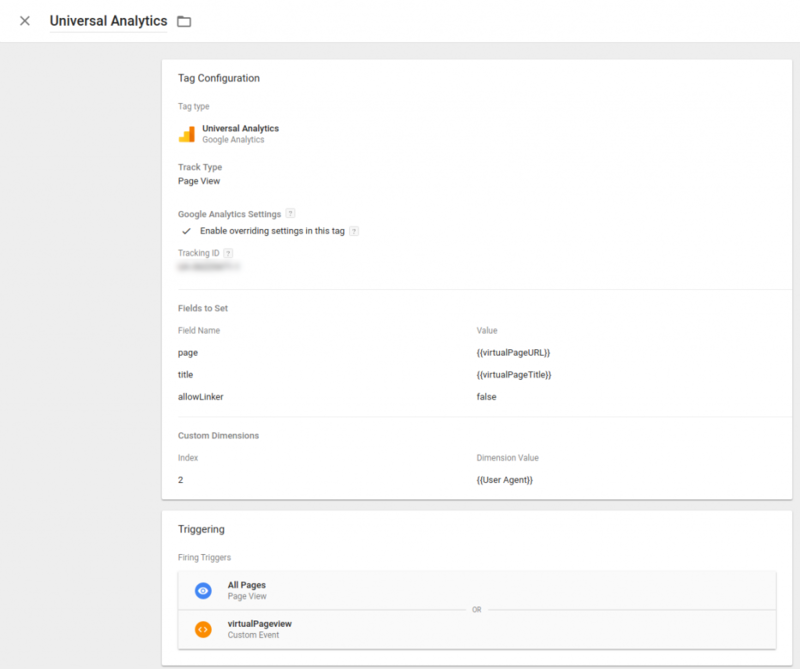 If you are serving Google Analytics as a Google Tag Manager (GTM) tag, some additional steps are required for Google Analytics integration to work. Sign in to your GTM account. 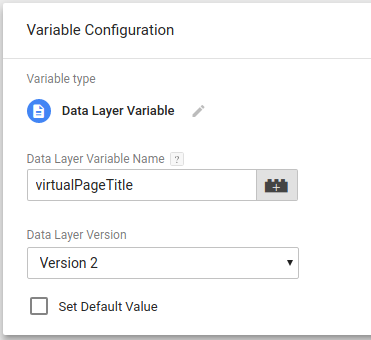 Under “User-Defined Variables”, click “NEW”. Click save. Click NEW again, and create another variable “virtualPageTitle”. Select “Triggers” from the left hand side menu. Click NEW. 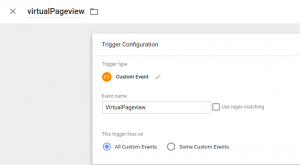 Create a custom event trigger on “VirtualPageview”. Select Tags from the left hand side menu, click NEW. 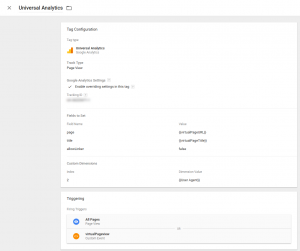 Publish your changes and the search events should start showing in your Google Analytics account. We have integrated with the leading open-source analytics platform Piwik among Google Analytics. We support both self-hosted and cloud-hosted Piwik installations. See Piwik.org for more information. The third supported analytics platform is Adobe Analytics. 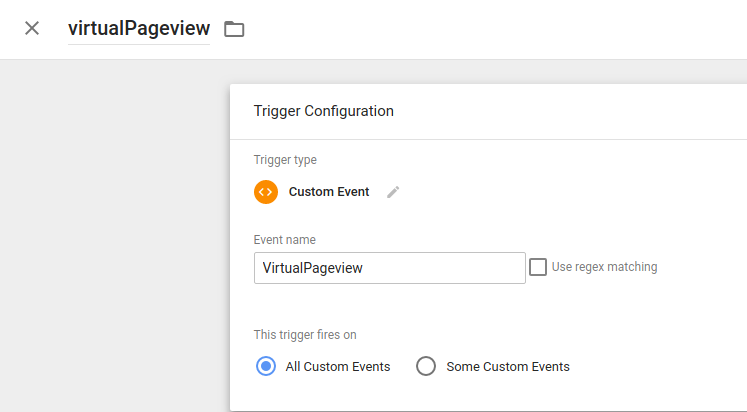 We are also able to fire custom analytics events if needed.